Benga music can trace its roots in the 1950s along the shores of Lake Victoria where local musicians began adopting traditional stringed instruments the likes of nyatiti and orutu to the acoustic guitar. 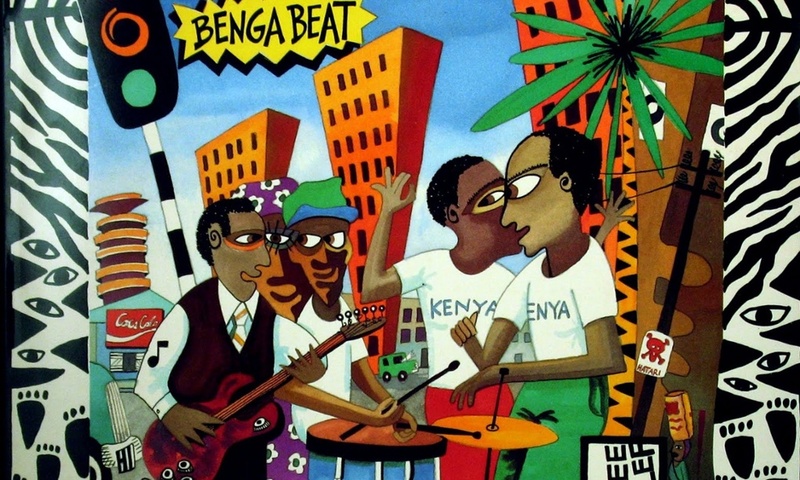 The first generation of benga artists were influenced by Cuban Rumba, which found its way to Kenya through Congolese guitarists Jean Bosco Mwenda and Edward Masengo. Their ‘finger-style’ of playing which abandoned the plectrum allowed for more distinctive and intricate melodies. Much credit for the early development of Benga (Luo word for beautiful) goes to pioneering guitarist John Ogara. The first use of the word was in a 1963 song called Monica Ondego, by ‘The Ogara Boys’. Benga Legend Daniel Owino Misiani however claimed that the term was adopted from his mother’s name Obengo. Misiani’s album ‘Benga Beat’ stands as one of the greats and became the standard bearer of Benga from the 1970’s until his death in 2006. His trademark political and social commentary got him into trouble many a a times including spending time in jail and being denied a passport. In the 1970’s, head of EMI records in Kenya, Phares Oluoch Kanindo exported thousands of Benga records to West and Southern Africa. The music was particularly popular in Zimbabwe. Kanindo was also responsible for adoption of elements from Congolese music including directly translating songs from Lingala. Artists still churning Benga beats to date include Atomy Sifa’s drum machine take, American-Kenyan band Extra Golden and Ken wa Maria of ‘Fundamentos’ fame. Despite the few people in Benga Music today, it remains one of the most distinct rhythms Kenya ever produced, and spread its wings all across Africa.